Akihabara in Tokyo is well-known for its otaku culture, and you can literally spend the whole day shopping for the latest electronic gadgets, cameras, computers, toys, figures, games, anime goods and even visiting the maid café. Even though TamTam Hobby Shop is the furthest from Akihabara Station, it's unquestionably the best car hobby shop in that area with its wide selection of new car models and brands of different scales. Hit the elevator to 5th floor to find the shop. AutoArt, MR Collection, Kyosho, Norev, Minichamps, TSM Model, Hotwheels Elite, Ignition Model, Spark, and Ebbro are among the high quality brands you can find at TamTam Hobby Shop. If you’re looking to add Autoart Signature models into your collections, try visiting this shop as there are plenty for you to choose from. I love visiting Liberty, the little shop in green signboard. It's one of my favourite car hobby shops because they sell used miniature cars that are no longer in production and most importantly, used means cheap! On the 1st Floor (Ground Floor), you can find almost of all kinds of diecast brands, similar to TamTam Hobby Shop. Since they are used items, be careful with the conditions like scratches and missing parts which are clearly stated on the box, in Japanese. I believe the shop assistant is willing to help if you have difficulty with the language. Some cars are sold at a good deal, but this Wangan Midnight comic series by Tomica is probably the rarest collection set I came across and it's priced at whopping ¥15,000 (RM456)! Worth it or not, you decide. Do visit Mandarake if you're looking for second hand goods - games, anime, figures etc. The miniature car section is on the 7th floor. Things are not quite the same as what they offer at Liberty. The choices are little and price can be more expensive at Mandarake, but who knows they may have what you've been seeking for. It is the best place to look for Tomica (apart from Tomica Shop Tokyo), because the new basic Tomicas are updated on time and I find that they are the cheapest. Well not only Tomicas, rather all goods in Yodobashi Akiba are priced lower than other place. This is a good place to find Hotwheels as well. For bigger scale diecasts, they have pretty decent amount of brands like the Autoart, Ebbro, & Welly. You can approach the sales assistant if you'd like to take a closer look at the model cars behind the glass cabinets. However, the main highlight at Yodobashi Akiba has to be its collection of 1/24 plastic car models, like Tamiya, Aoshima, & Fujimi. Tools for plastic modeling are also available to get your kit started. The final place on the list is Asobit City. I wouldn't say this is the best place to look for diecasts but definitely the best place to look for plastic model kits, and they are on the 5th floor. Asobit City offers more plamodel choices than Yodobashi Akiba. In terms of price, they both fall within the same range, probably a bit cheaper at Yodobashi. More Initial D merchandises can be found at Asobit City! Another great article Wai Hong! I was recently model shopping in Tokyo too but only managed to visit Yodobashi and Tamtam. As a head's up, its a good idea to visit Yodobashi first as it is comparatively much cheaper. As a tourist, you can get tax refund from Yodobashi. While I was there, they also offered 10% off with payments made using Visa. Being smaller outlets, Tamtam and the other shops didn't offer such facilities...but their range of 1/18 scales far exceeds what was available in Yodobashi. Thanks Kelv27! Yes, that's very true. Thanks for highlighting the 'tax refund' and 10% off via VISA at Yodobashi, I will add that info up there. :) Do visit Liberty and Mandarake too, because their used items are still good and sometimes you find something special there. Have you been to gallery tanaka in akiba? Hi. For the Aoshima Liberty Walk model, which shop is it? Hi kerol! Sorry for the late reply. You can find Aoshima Liberty Walk plamodel at Yodobashi Akiba 6th Floor! Hi , where i can find RC Nitro & EP cars & accessories in Akihabara? i plan to visit end of Nov 2015. Thanks. Hi there, thanks for sharing the above info. It is very helpful for me. Do you happen to know website of the above shops? I know Mandarake website. Hi. I want to buy any Nissan Figaro toy cars. Where can i get them please. Anyone on here got any for sale from the small choroQ to the Diapet style. I am in the UK. Sorry Simon, I'm not sure..
do you know if the Tomica cars offered at the Tomica shops tend to be more expensive(or cheaper) than if found at regular toy/department stores in Japan? Thank you for share this article, the next month my brother gonna visit japan and him will boy some carsto me, we live in mexico city and i want ask you a question, in the places did you recomended i will find kyosho brand 1/64 diecast scale? if you say yes can you tell me how expensive they are in japan? i will apreciate if you answer. Hi Salvador Reyes, I'm so sorry for the late reply. There is Kyosho brand 1/64 in TamTam model car shop, but I'm not sure the exact price though as they have wide range of prices for different models. Hope this site helped and you enjoyed Japan! Thanks for the info. Last year (august 2016) i went some that store (tam-tam & yudobashi akiba) and i bought 2 item (greenlight limousine - up to ¥4000 & rim's japan police car around ¥5000) there at tam-tam. The price is quite expensive. While i can buy same item in indonesia (i from indonesia) only Up to Rp300.000 (around ¥2500) and there is no discount for tourists & free tax. The other shop is temporary close. Thanks Andy, glad it helped. Thanks Andy, glad it helped. But which shops are closed though? Hi! Thanks for the article. Hi! Thanks for the article. Last time I was in Tokyo, October 2015 I wasn't a diecast guy but I am now and heading back to Tokyo in November 17! Is it specifically Yodobashi Akiba for Tomica as I remember seeing Yodobashi everywhere! Any other places to check for Tomica/Hot Wheels?! I loved your article! I'm planning a trip to Japan mostly to buy awesome diecast xD This will help me a lot! Would you mind to help with a doubt? 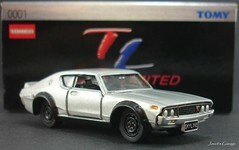 I would like to know how much does the Kyosho 1/64 cars cost? The ones in the red carboard boxes (you got a picture of an old man looking at them in Liberty shop) . I have looked for that all over the web without success. I only see the costs on Ebay and I think they are inflated. I hope I can bring 1 or 2 full cases from Japan to my country for my collection. Again thank you so much for your awesome article and great photos! Hey, when are you heading to Japan? I'll be there November. I was in Hong Kong in May and Kyosho 1/64 were around £15-20 GBP each. I imagine in Japan these would be around £5 less so around £10-15. Wow great! I won't be heading to Japan anytime soon. So you guys enjoy alright :D I'm sure there are many new cars waiting for you all! @matthew, what the date you'll be in tokyo? Coz i also will go tokyo mid November. Maybe we can meet together. Hello! Just a quick update on how I found the above - TamTam Hobby is the best and has a decent selection of diecast, Mandarake didn't really have much diecast in general. Asobit is closed down. Yodobashi Akiba is okay, but common models you can find everywhere. Liberty is okay but closes early-ish at 8pm. Nakano Broadway is okay but only a few shops of diecast (mostly those rental boxes were people rent and sell their own stuff). My opinion is that Hong Kong is way better for diecast after my trip to Tokyo - much more selection and variety of shops! Can you tell me where I might be able to buy a Trumpeter 1/25 scale model of the 1963 Chevy Nova SS? Thank you so much for writing this article! My boyfriend is a big fan of cars and stuff that I don't really understand... But I took him to tamtam and liberty and he was floored; so happy! Apparently prices and selection was good. Unfortunately asobit is permanently closed. I was on a time crunch (we literally had a few hours in Akihabara before catching the plane) so having all this info in one place really helped. Hi,may I ask where we can buy scale model kits for cars in Akihabara?. We are planning to visit Japan this coming January. Thank you very much. I'm planning to visit akihabara only for few hours to buy skyline GT-R. this is perfect article I know where to go. Is there any recommendation to pick 80~90's GT-R ? like r 32,33,34. 1/64 Custom AE86 Hayashi86 Ver. 1/18 AUTOArt AE86 Initial D Project D Ver.